All you can eat pasta Monday's!!! Mondays just got better!!! ALL YOU CAN EAT PASTA every MONDAY!!!!! 🍝3 Chef curated pastas! Choose one or choose all THREE!! Gluten free and vegetarian options available! $14.95 per person! *No Sharing! Tell all your friends!! 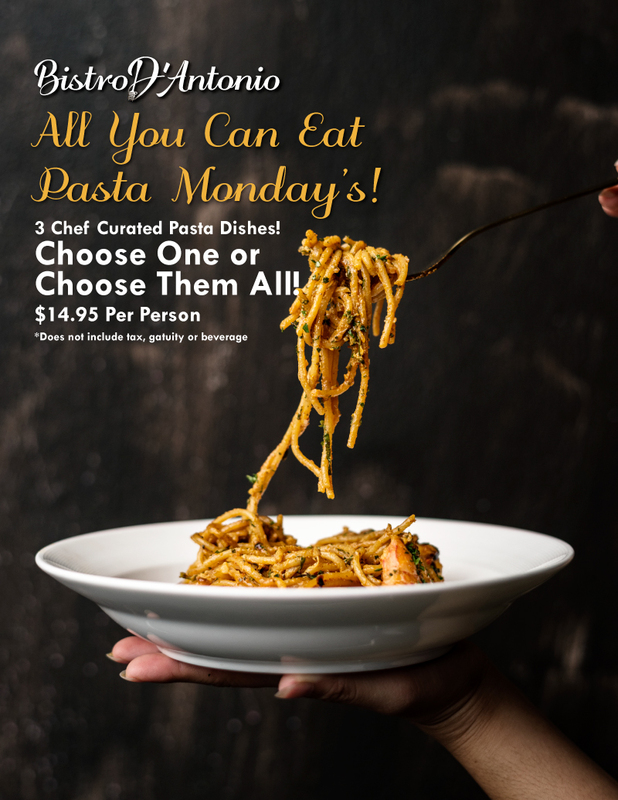 We can't wait for you to join us on Pasta Mondays!!! Come enjoy dinner off our new ALL INCLUSIVE MENU! $35 A person. Choose an Appetizer, Entree & Dessert!! Available Tuesday through Thursday, every week!!! 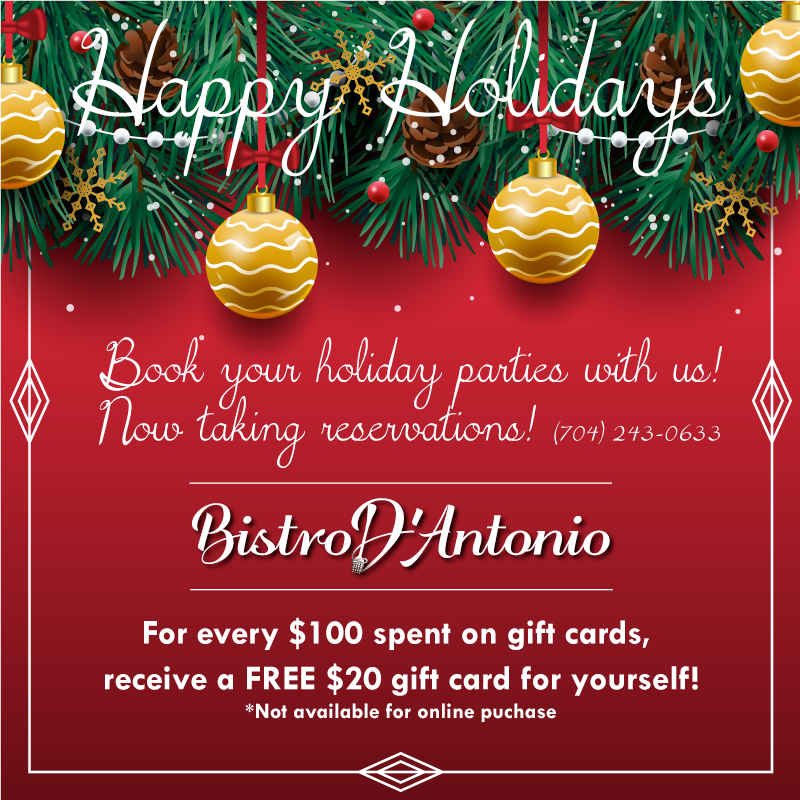 See you soon at Bistro D'Antonio! Where your family is our family! 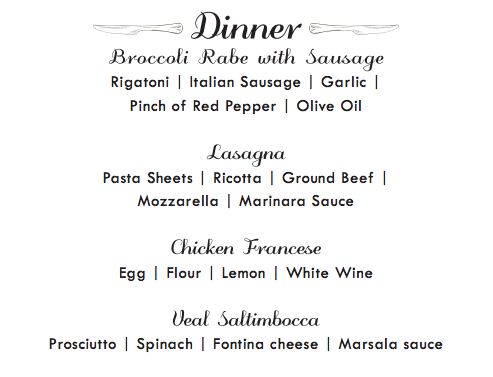 Join us Wednesday, July 25th for our next Wine Dinner! 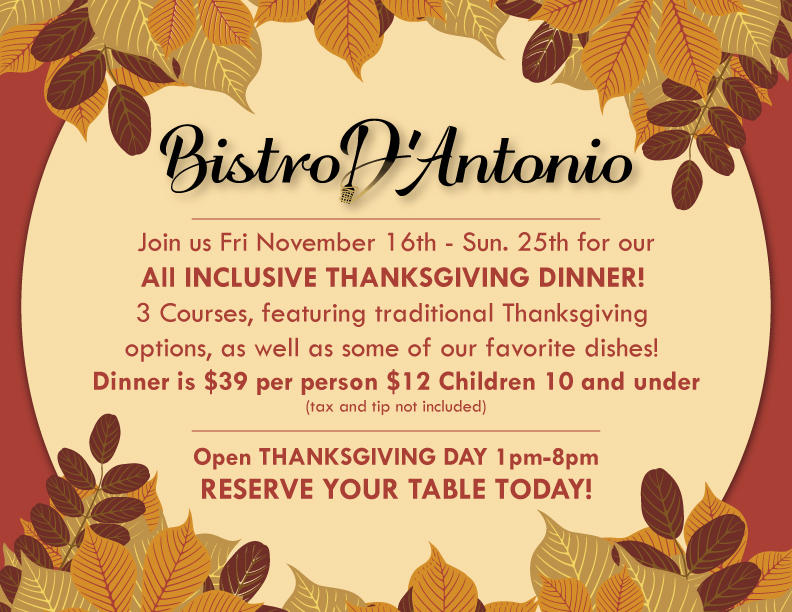 Come and enjoy 5 delicious courses, crafted carefully, with wine pairings picked specifically for each dish! Can't Make this one? 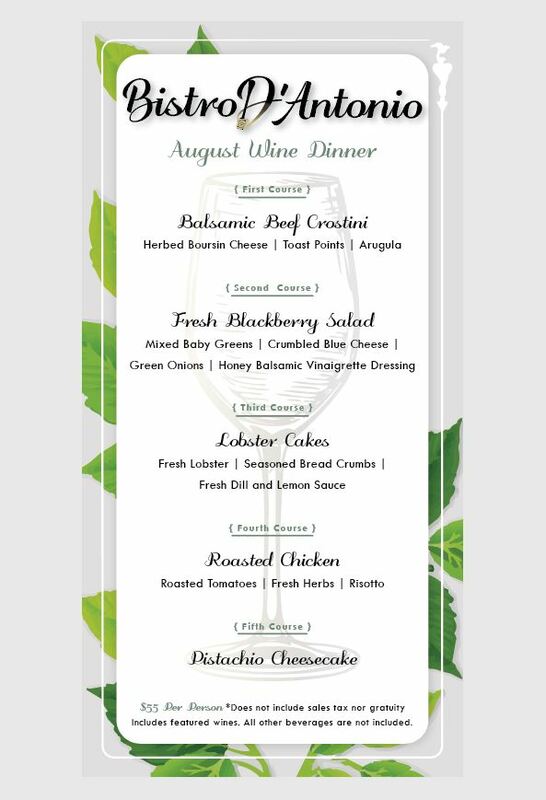 Our next Wine Dinner is Wednesday August 29th at 6:30! Now taking reservations! All inclusive Valentines Day dinner!